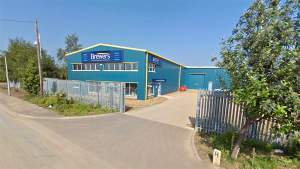 Brewers is one of the main suppliers of good quality paints, wallpapers and decorating accessories and equipment to the tradespeople and retail customers of Wisbech. There’s quite a range of products immediately available in store, as well as a Sikkens tinting machine, and thanks to our dedicated internet terminals, you can search our wallpaper and designer paint collection online and order items into store or your home. Our friendly team are only too happy to help and advise on the advantages of any particular products. You’ll find us soon after passing the recycling centre on Boleness Road, just off Weasenham Lane. We’re just a few minutes’ drive from the A47 or the centre of town. We have plenty of customer parking directly outside the store. Head east on Weasenham Ln towards Boleness Rd. Turn right onto Boleness Rd. The store will be on the right. Head west on Weasenham Ln towards Boleness Rd. Turn left onto Boleness Rd. The store will be on the right. Head south-east on Anglia Way towards Boleness Rd. Turn right onto Boleness Rd. The store will be on the right.